The Christmas season is when many Nova Scotians get an up-close look at our forests, but the meticulously decorated trees spreading their aroma in warm living rooms betray a less picturesque reality. There&apos;s a battle brewing over the management of the province&apos;s forests, and I&apos;m realizing my ignorance is aiding the wrong side. Even as we read headlines about clearcutting near Kejimkujik or worries from private woodlot owners about the impact of WestFor on the market, forestry can feel like one of those issues too big and complicated to really understand. 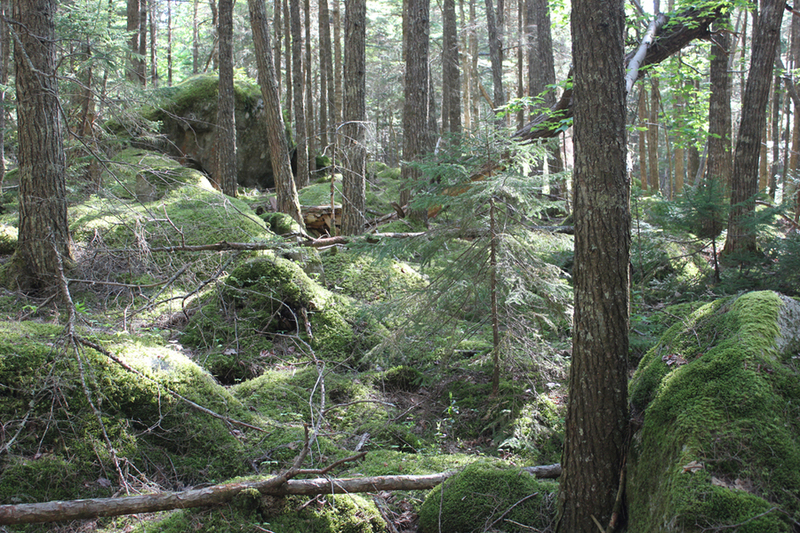 This allows Nova Scotia&apos;s Department of Natural Resources (DNR), in its five-year progress report released in August, to tell us it&apos;s using an "ecosystem-based management" approach for Crown lands. It sounds all fine and good, progressive even. But a dedicated group of academics, scientists and forestry experts aren&apos;t convinced, and that&apos;s why they&apos;re trying to spread the word that despite a clever sounding strategy, Nova Scotia&apos;s current approach to forestry is aggressive and unsustainable. "If someone comes to you and says everything is great, well just ask yourself, 'Are they giving me an unbiased opinion or are they being paid to deliver that message?&apos;" said Donna Crossland, a forest ecologist who contributed to DNR&apos;s 10-year natural resources strategy. "So the industry, when they&apos;re telling you everything is great, well they want your forests." She calls the province&apos;s five-year report, "the most amazing piece of propaganda that I think the government has ever written." "The words are beautiful, the sentences are intricately constructed, all to say that they are not going to follow through on any of the commitments that we made in the 2011 natural resources strategy." After meetings with the public and consultations with scientists, 2011&apos;s "The Path We Share" outlined clear commitments for better management that included reducing clearcutting by 50 per cent over five years. This year&apos;s report proves DNR&apos;s on-the-ground tactics haven&apos;t changed-according to the National Forestry Database 42 per cent of operable forests have been clearcut in Nova Scotia from 1990–2014-but the message has gotten more convoluted to hide that fact. For example, DNR says clearcutting simulates natural disturbances, such as forest fires. It&apos;s people like David Patriquin, a retired marine biologist turned passionate forestry watcher, who hear that science and say, wait a minute, that&apos;s not true. While boreal forests experience regular and naturally occurring forest fires, Acadian forests don&apos;t. DNR has been twisting the science to justify more harvesting, an approach Patriquin calls "very duplicitous." It&apos;s also damaging the very nature of the Acadian forest. "Our forestry policies are oriented toward clearcutting and encouraging conifer plantations, which are poorly adapted to climatic change," he told me over the phone from Halifax. "They&apos;re more susceptible to fires, and what we should really be doing is encouraging the natural forest here, which is a multi-aged Acadian mixed forest, which is much better adapted to climatic change." He writes a blog called Nova Scotia Forest Notes, and told me it&apos;s taken him almost 10 years of studying forests to begin to understand how wrong the province&apos;s proclamations are. But when he tries to get answers, it isn&apos;t easy. "The Department of Natural Resources acts like a closed box," said Patriquin. "It&apos;s like going into a military base to get in and talk to anybody, and they discourage open discussion and so on, and that&apos;s not good for science." One has only to look at aerial maps on the Healthy Forest Coalition&apos;s website, which show areas affected by clearcutting since 2001, to see the dangerous rate of forest lost. There are many people already belly deep in this debate, and admittedly, I&apos;m not one of them. Talking to Crossland and Patriquin, I realized how complicated this issue is, and why sharing knowledge is so important to combat that. When we spoke on the phone last week, Crossland outlined a brief history of the Acadian forest. Of all the forest types, it was one of the first to be changed by humans. In the 1700s when settlers arrived in Nova Scotia they torched the woods to make way for farmland. But it&apos;s a mistake to think that because of decades of poor management, the best we can do is clearcut. DNR is "just looking at what&apos;s left, whereas I feel that we must not just focus on what&apos;s left and do the last grab of the last branch, the last shrub, but we must focus on restoring the Acadian forest and growing the high-quality tree species." Crossland envisions an industry that&apos;s built on nurturing high quality products that the province can sell around the world. You&apos;ll notice this isn&apos;t a debate of industry versus environmentalism. Rather, it&apos;s about fostering forestry that&apos;s forward-thinking, that sees the true value that&apos;s all around us in Nova Scotia. "It&apos;s so easy to underestimate the potential of the grandeur of the Acadian forest," said Crossland.